BOSTON, May 13, 2008 – Technomad Associates, LLC a leader in high-powered weatherproof PA systems and communications equipment for military, security and other government applications, announces the availability of its new SuperConductor v2.0 mp3 playback and recording system. Now shipping, SuperConductor v2.0 adds a host of new features, notably the ability to record field audio and immediately schedule the files for playback from a front-knob position without the need for a computer or web browser. The original SuperConductor is used in fixed and mobile applications around the world, including combat simulation, mass notification, emergency messaging, and general military training exercises. The release of SuperConductor v2.0 builds on the original playback and scheduling features, adding the ability to schedule recorded field audio for immediate or future playback from the internal sound library. Scheduling can be as straightforward or complex as desired; sounds can be programmed to play hourly, daily, weekly or even annually. Potential applications include playing Reveille daily at 0600, hourly safety announcements, local-language messages, sirens and alerts, combat simulation, training, and ceremonial music for command changes. The result is the most powerful and flexible audio player/recorder/message repeater available on the market. A key new design feature of SuperConductor v2.0 is Local Configuration Mode, which allows the user front-panel access to all functions. Local Configuration Mode eliminates the need to use a computer for managing sound files, safeguarding the user against potential PC viruses and crashes. The Local Configuration Mode feature also offers password protection and an IP-based timeserver function that automatically synchronizes the unit’s clock with the timesaver once a day. The timeserver feature also compensates for the time difference between the user’s location and the timesaver location when working across time zones. SuperConductor v2.0 also offers a variety of remote control capabilities. Basic remote control allows operation of the system from a distance via CGI command, and the Lockout feature ensures that only scheduled or remotely-triggered files can be played when the unit is unsupervised. 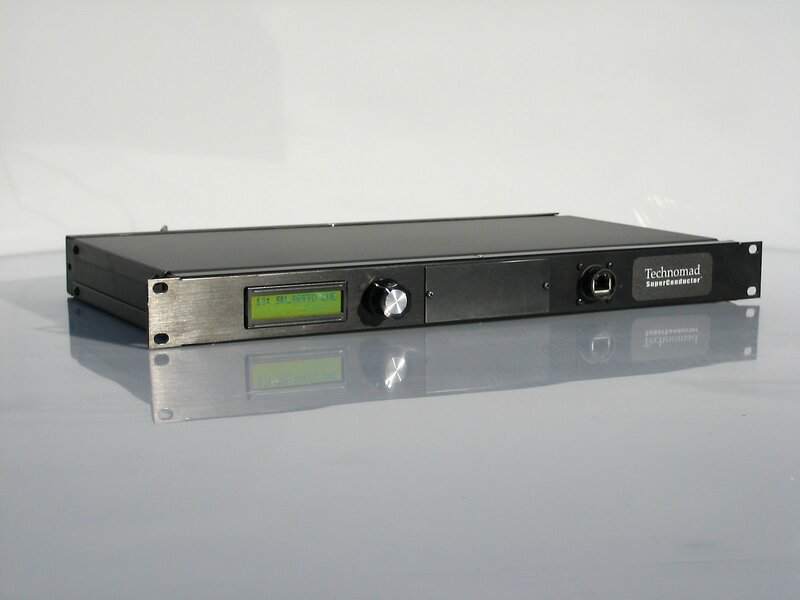 SuperConductor v2.0 can be purchased separately or with Technomad Military PA systems (modular or turnkey) to build the most intelligible, flexible, high-fidelity audio projection system available for military base installations today. 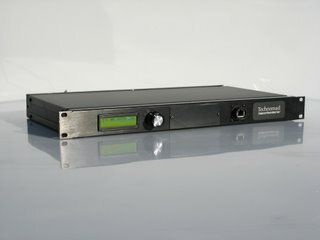 For long-range systems, SuperConductor 2.0 audio files can be streamed over Technomad digital Link Kits to multiple strategically placed static PA systems on large, multi-square mile military bases. Technomad is offering two upgrade options for customers with SuperConductor units currently in the field: An inexpensive factory upgrade by Technomad engineers, with free return shipping; or a free, field-upgradeable software option for technicians who wish to install the upgrade at the installation site.